Lately it seems like more and more families have been making San Antonio their vacation destination. The Alamo, Riverwalk, and fabulous Mexican cuisine all bring visitors to this vibrant Texas city. 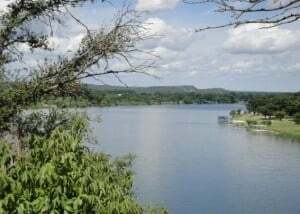 However, the surrounding Hill Country is gorgeous and equally worthy of your time. So rent a car and explore the land outside San Antonio city limits. You can’t pass up the opportunity to visit a place whose motto is, “Keep Austin weird.” Check out Austin‘s stunning State Capitol Building or take a stroll through the University of Texas campus. Or, for a wide variety of activities all in one place, spend a day at Zilker Park where you can ride the miniature train, swim in Barton Springs pool, eat a picnic lunch, check out the walking path that hugs the river, and run around at the playground. Enjoy more family friendly activities in Austin, Texas. 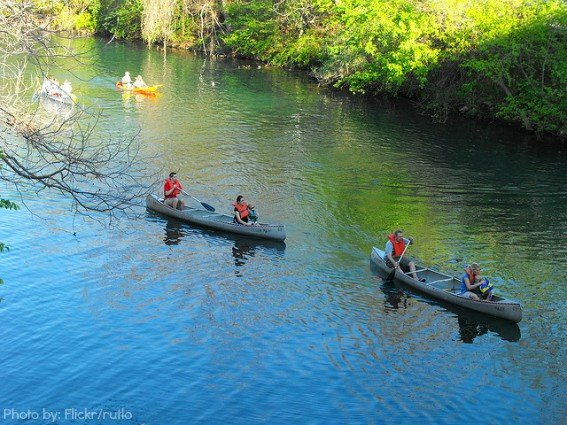 Just south of Austin, you’ll find the town of San Marcos, home to Texas State University and their glass-bottom boats. 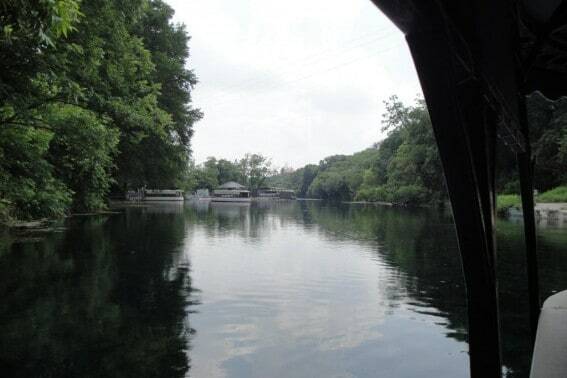 A tour guide will tell you all about the spring-fed waterway and the plants and animals that inhabit it. While you’re there, check out the small aquarium near the boarding area. On the way out of town, do some shopping at Prime Outlets and Tanger Outlets, two malls located just off I-35. The Cowboy Capital of the World, Bandera is a must-visit for families who have an aspiring cowboy or cowgirl. Stop by the old-fashioned general store located downtown and have a soda or an ice cream (Paris Hilton and Nicole Richie visited this spot a few years ago!). History lovers will want to take a look at St. Stanislaus Church and the Bandera County Courthouse, both of which are Texas Historic Landmarks. Be sure to visit the Frontier Times Museum, where you’ll see everything from 19th-century dental equipment to seashells. Fredericksburg is one of my favorite towns in Texas. 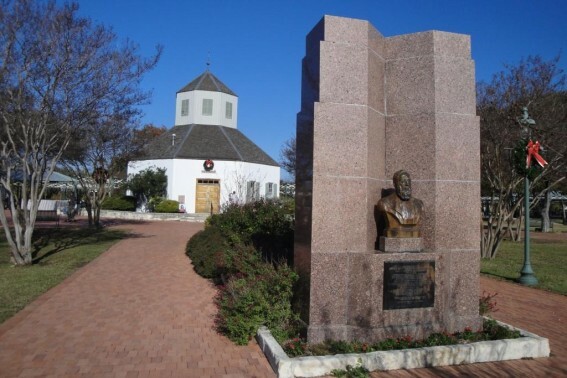 The downtown area is filled with historic buildings, including the birthplace of Admiral Nimitz. The beautiful Vereins Kirche, a 1935 recreation of the 19th-century church that used to stand in the town’s Markplatz, is a perfect place for a few family photos. 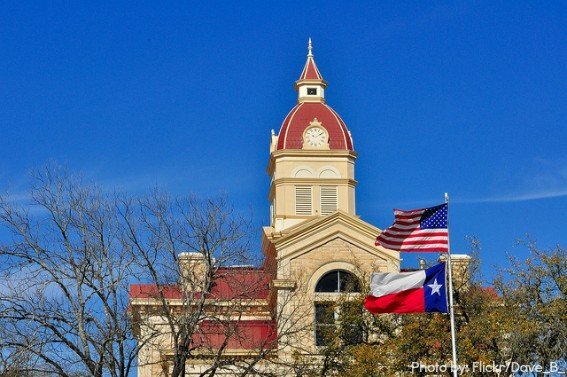 With lots of interesting shops and places to eat, you’ll find plenty to do in this Hill Country town. Sometimes the journey is more important than the destination. If you’re in the mood to hit the road, try driving north on US 281 from San Antonio. You’ll see open fields, old abandoned gas stations, and small towns with friendly people. This route will take you all the way to the Dallas/Fort Worth area (about a 5 hour drive without stops), so you can go as far, or stay as close, as you’d like. If you’re driving in the morning, stop by the Blue Bonnet Café in Marble Falls for a delicious old-fashioned breakfast. Sarah V. is a San Antonio based blogger who loves to write about her family’s journeys in Texas an beyond on her blog, Wandering Off. Her site is a great resource for those planning a trip to San Antonio or looking to add a little bit of Texas to their life. You can also find Sarah chatting away about travel on Twitter, via the user name @wandering_off . I still can’t get over how cute the photo of Fredericksburg is! Is there good barbecue in Fredericksburg? I’ve read somewhere that the Germans were the first to bring barbecue cooking to central Texas, where they smoked meats in their butcher shops.